Vanessa Gailey came to Whitefish by way of Crested Butte, CO, where she learned to shred on the legendary singletrack. Vanessa worked in Glacier National Park in the 90s and, apparently, it made an impression on her. We’re quite glad she returned as she is a welcome, good-natured addition to Glacier Cyclery’s staff. Vanessa last worked at a local endurance nutrition company and has more than her fair share of gel, protein powder and electrolyte pills. She also has a rad husband named Chuck who happens to be the main reason that Vanessa will ride a road bike, being first and foremost a lover of dirt. Vanessa’s stable includes a Surly Krampus with 3″ tires (for bikepacking! 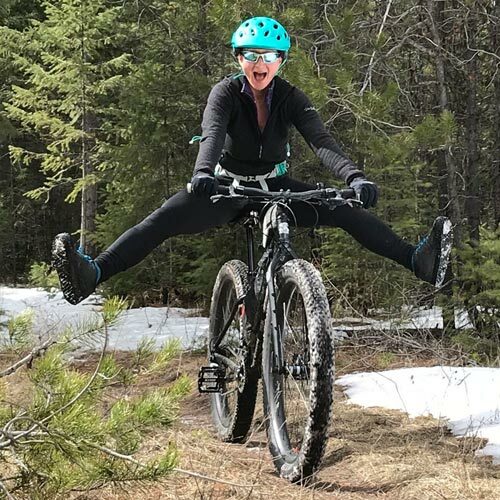 ), a Juliana Joplin 29er mountain bike just to prove that short girls can love 29″ wheels, a Kona Wo fat bike, a Fairdale Weekender steel is real commuter and a 1970 Raleigh 3-speed. Michael came to Glacier Cyclery in 1998 from Oregon in hopes of trading rain for snow. Mike enjoys cooking, riding slow, snowboarding, procrastination, weight fluctuations, controlled explosions and short bicycle tours. Mike dislikes telemarketers, politicians, and haircuts. Mike leads a contented life and lives with his lovely wife, two boys and a couple of ill-behaved pets. In his garage, Mike has a Burley Hudson touring bike on which he’s slayed a deer, an ’87 Fat Chance which he should sell but believes is worth more than it actually is, a Kona Wo fattie, a Surly Krampus, and a Santa Cruz Bronson which, if you haven’t heard, is an ‘enduro’ bike, ‘enduro’ being a key word last year in the bike biz. 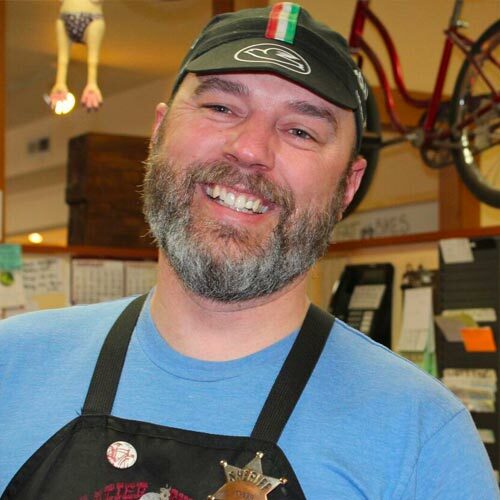 Tyler hails from Wisconsin and has been a Glacier Cyclery fixture since 2001. Tyler, his wife Brandy, and son Tiptin live up near Canada which helps in explaining Tyler’s obsession with the procurement of firewood. Tyler’s other obsessions include the gathering of huckleberries, the storage of huckleberries, and cooking with huckleberries. Tyler also enjoys snow removal, Coca-Cola, ultra-violent video games, and cycle commuting 40 miles a day which he frequently does aboard either his steel Kona Rove gravel grinder or his Kona Big Kahuna depending on whether he craves tarmac/dirt road mix or soil on his ultra-endurance commute. When shredding singletrack, Tyler pilots a Kona Process 153 29er with it’s HUGE 29″ wheels. Growing up in what he calls “Babylon on the Potomac”, Mark discovered early on that bicycling was his favorite form of transportation – especially when the destination was a river to paddle, a cliff to climb, a mountain to ski, or a wave to surf. He mentions Jack Kerouac and Goran Kropp as influences. Mark has toured through 44 states, 5 provinces and a tiny bit of Mexico. He was the Izaak Walton Inn’s ski pro for 20 years and has spent a dozen summers surfing and working at bike shops in California. Currently Mark’s two-wheelers include a 1964 Schwinn Tiger, a Surly Cross Check that looks as old as the Schwinn, a folding Dahon that he thinks is cool because Amtrak counts it as carry-on baggage, and a Kona Unit single speed (soon to have gears and a Jones Bar) on which he embarks upon day long adventures of epic proportions. Pete rode through Whitefish in 2003. He returned to work as a backcountry ranger in Glacier Park in 2005. 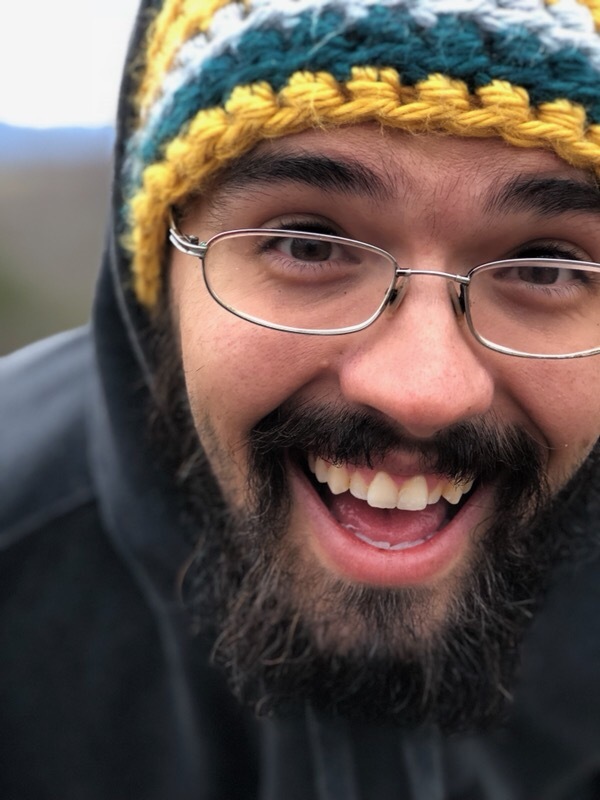 Pete likes long walks on the beach, long rides across continents, electronic music, backcountry skiing, is an avid photographer and excels at bathing his subjects in light. Check out Pete’s awesome photo skills at Pete Siudara Photography on the Facebooks. The Puma is a highly skilled mechanic and shreds a Kona Hei Hei DL 29 whilst enjoying the dirt and rides one of those epic adventure Jones Bar-clad Surly Ogre bikes when enjoying bikepacking into the great unknown. Martin and his wife, Megan, recently moved to Whitefish from Fort Collins, CO. Martin was tired of his 45-minute commute to work so he moved 1000 miles away so he could walk to work. Martin was once a Toyota mechanic, a skill which will more than likely be called into action around here more than once. Martin has a HUGE tool box which unfortunately, is locked. Martin has two beloved pups, and likes target shooting, horses (not target shooting at horses, mind you), and riding one of the sweetest fat bikes in the Valley, his Surly Ice Cream Truck, with which he hopes to combine skiing, kayaking, and the like. Martin’s stable includes the aforementioned Surly, a Kona Process 153 29er, a Niner MCR9, a lovingly customized Kona Sutra for the gravel, a Kona Unit X, and a couple of older road bikes which he will undoubtedly be encouraged to call ‘Cino bikes’. 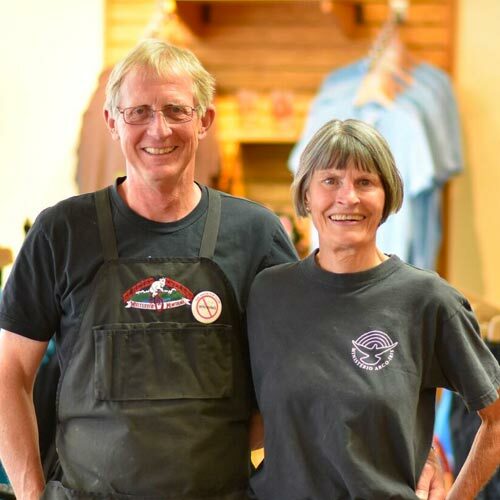 Ron & Jan started Glacier Cyclery in 1982 and have been going strong ever since. Ron was once a potter, bakes a delicious scone, and rolls in a ’72 MGB which he restored. 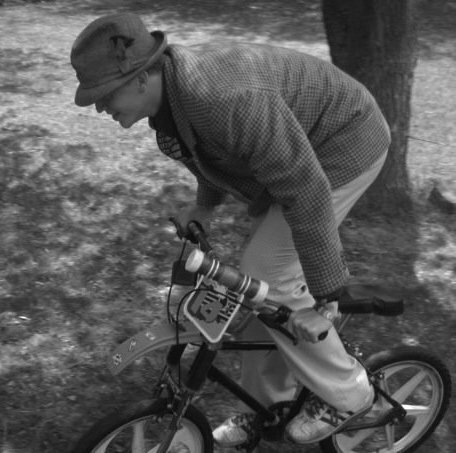 As of late, he also seems to have developed a propensity for bikes we used to refer to as “old ten-speeds” (See ‘Cino’). Jan can ride a unicycle and can also play the accordion, two talents which seem best combined. The Brunks enjoy tandeming (conjoined cycling), XC skiing, and working on their days off (running a successful business). 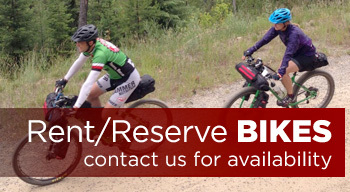 The Brunks are veterans of cycle touring and have pedaled a few enviable multiple-day rides. The Brunks’ garage contains an Ibis Cousin It tandem, a Miyata unicycle, a Kona Hei Hei DL 29er, a Kona Jake the Snake, a Giant Defy Advanced carbon road machine, a Santa Cruz 5010, a Jamis Nova, and scores of ‘Cino’ bikes (which we used to refer to as “old ten-speeds”). Raser hails from the far away climes of Martin City which isn’t really a city and is only about 15 miles from Whitefish. Some say he is a dog whisperer. 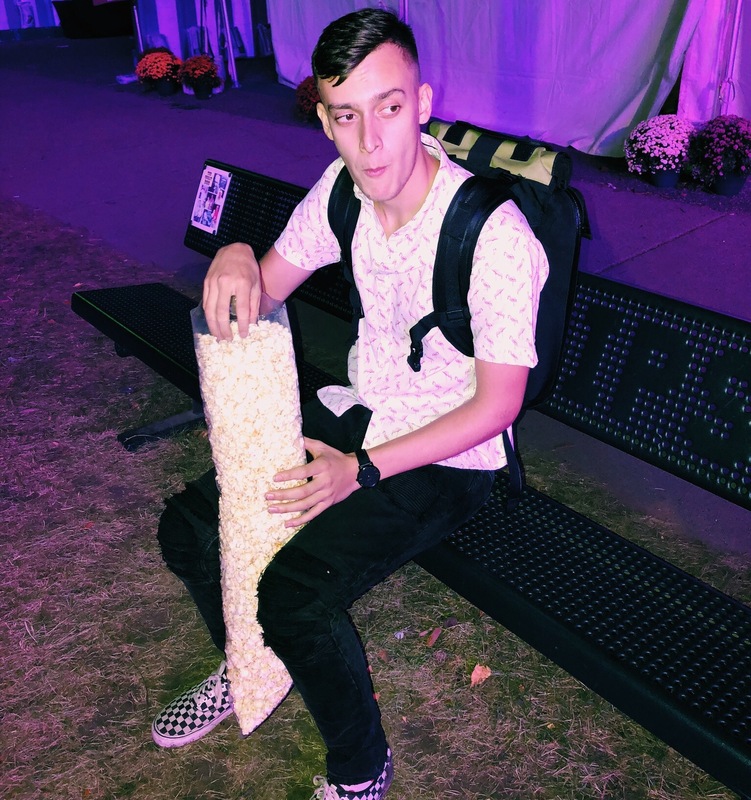 Currently a college kid, Raser prefers the outdoors to the indoors and seemingly enjoys almost every activity that our lovely valley has to offer. 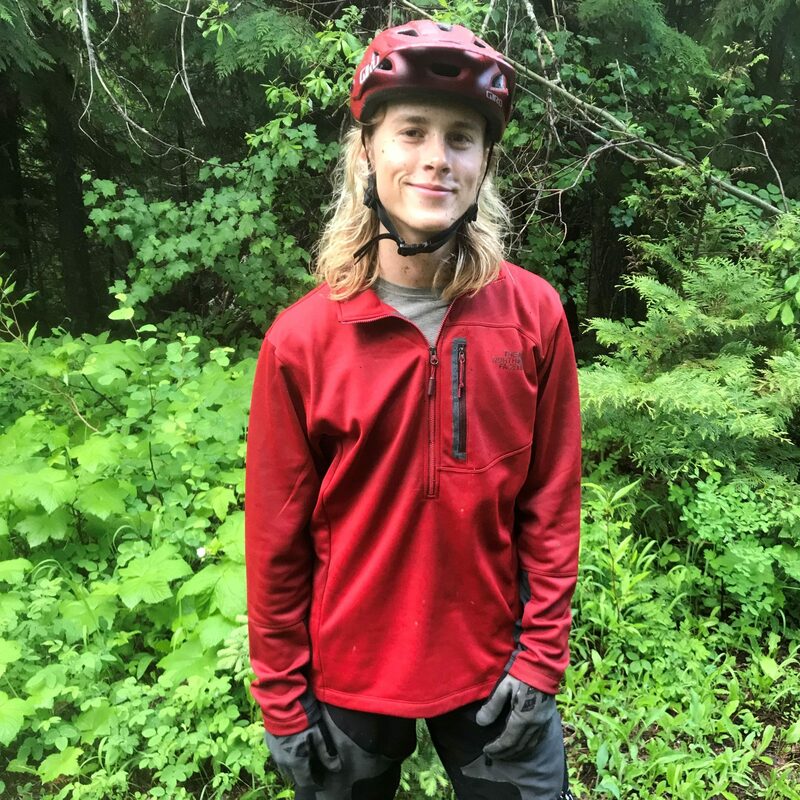 When he’s not in the shop at Glacier Cyclery, you might find Raser fishing or paddling rapids, or under his truck, or snowboarding, or skiing, or sitting on a peak contemplating his fine life. Most likely though, you’ll find Raser enjoying the deep woods embracing the laws of gravity aboard his Kona Process 153 or disappearing amongst his beloved lichen on his Kona Unit X. Go speed Raser, Go! 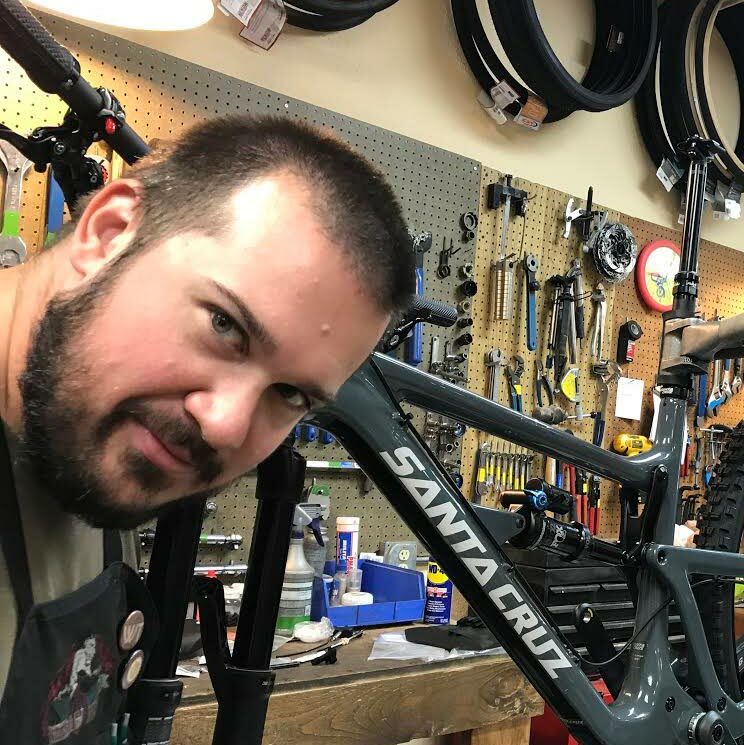 Craig came to Glacier Cyclery with the hopes of anonymity and the abandonment of the legacy of his family’s Fortune 500 company, Hertz Global Holdings. Not really, but that would make for the start of a good story. Craig comes to us by way of West Yellowstone, which is another Montana resort town near another well known National Park. 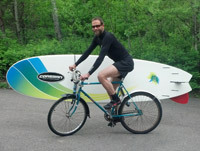 Craig likes human powered travel, be it by foot, bike, or ski, although our guess is that he likes the foot travel best. The clues which lead us to this conclusion include the facts that Craig recently returned after hiking across New Zealand, and right before that he ran the UTMB, which if you don’t know, has something to do with running around Mont Blanc. Craig is a 2-time collegiate pumpkin pie eating champion, and has an affinity for neon colors and mountain goats. Craig rides a Kona Rove DL, and another bike that he really doesn’t want to mention. 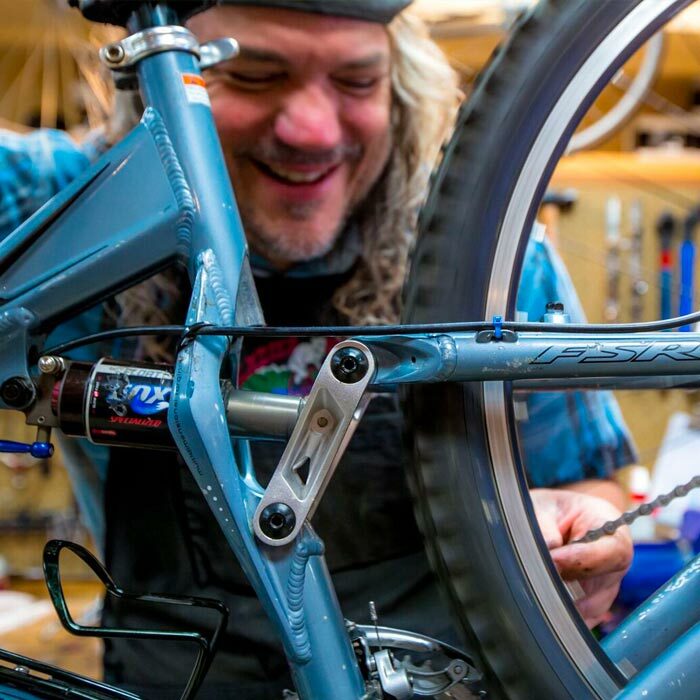 Ian Critz comes to Glacier Cyclery from good old Nelson County, Virginia on the sunrise side of the Blue Ridge, and it seems as if he knows his way around a bike repair stand. Ian is also a ski/snowboard instructor during the winter months and likes to teach the rug rats to ski. Ian enjoys long rides in the woods, doing a little fishing, some camping, and surprisingly, some bare-knuckle brawling. Ian’s got his eye on the new Santa Cruz Chameleon, named after the lizard which, unlike Ian, lives in warm habitats and can change its color. 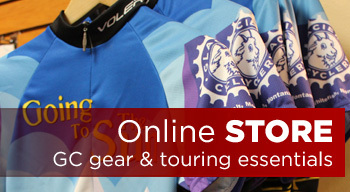 Alex Ueltschi comes to Glacier Cyclery from Switzerland by way of Ohio. 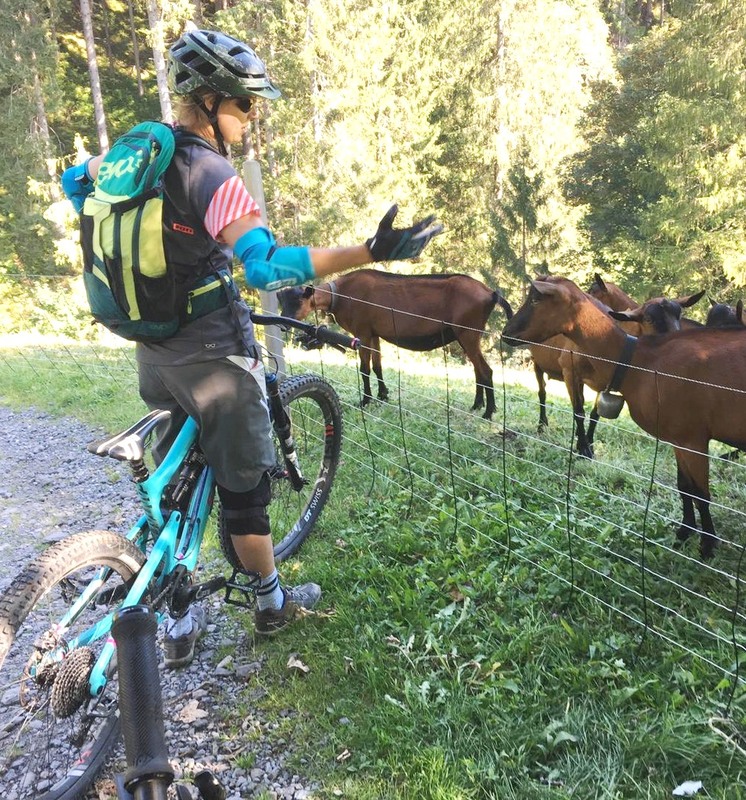 We’ll skip the Ohio part, but here’s an interesting fact: During her four years in Switzerland, not once did she work on a farm, nor did she tend goats. This might seem odd being that everyone knows that Switzerland is the epicenter of modern goat breeding. She did, however, ski and instruct others to ski, a skill she continues to utilize on the Big Mountain during the winter months. Alex rides a vintage road bike that she restored and painted herself, and an overforked Santa Cruz Hightower, which she enjoys piloting down flow trails or high mountain singletrack, dodging the occasional bell-wearing goat. Remember the band Hanson? This has nothing to do with them. Cody is a Whitefish native and comes to us by way of Whitefish. Cody attends college in Bozeman, which is also in Montana. Cody is majoring in mechanical engineering, with a minor in Hunting by Spear and Scientific Marination of Ribeye Steaks. Cody likes riding singletrack, climbing up rocks, touring on snowboards that split in half, and Emma Watson, not necessarily in that order. He probably likes a bunch of other stuff too but those are the things that we are certain about. Cody shreds on a Kona Process 153 29er, which is currently the best bike in the world. Dylen comes to Glacier Cyclery from Minnesota, the land of lakes and hotdish. Dylen recently attended United Bicycle Institute in Ashland, Oregon, where they’ve never even heard of hotdish. Dylen likes road riding. That’s cool, I guess. 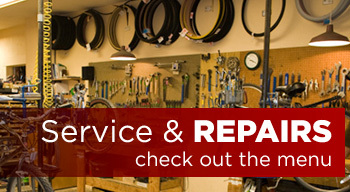 If you buy a bike from Glacier Cyclery this year, there’s a good chance that Dylen assembled that bike. 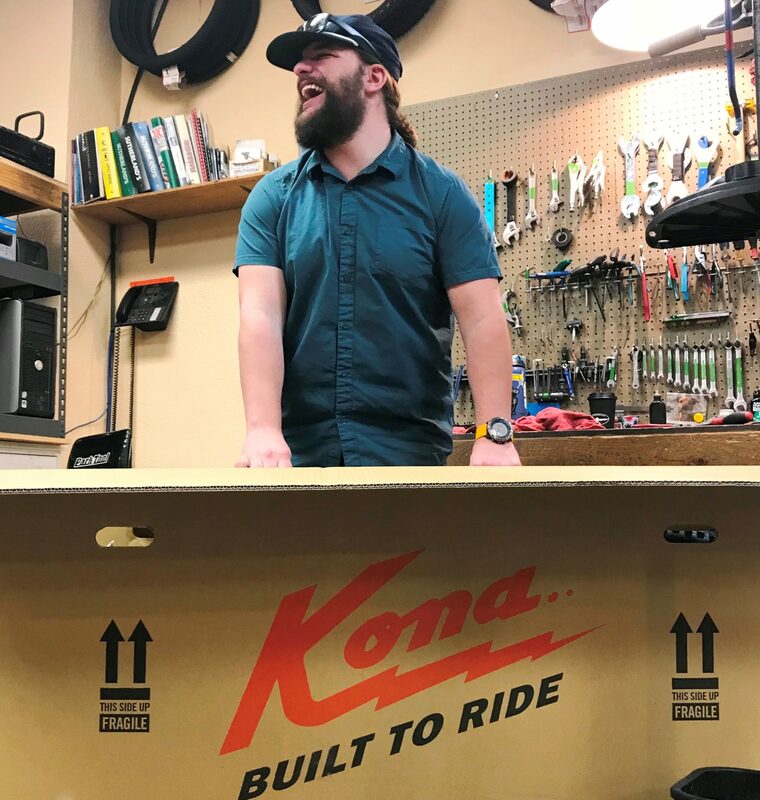 Currently, he’s riding a single-speed bike which has been handed down through generations of bike mechanics and sports a large ‘Dope’ sticker on the top tube, although he’s weighing the options of buying a Kona Honzo, which we will almost certainly talk him into purchasing.